Our beautiful showroom is located in the quaint village of Skippack, Pennsylvania, a short drive from the neighboring towns of Collegeville, Blue Bell and King of Prussia. 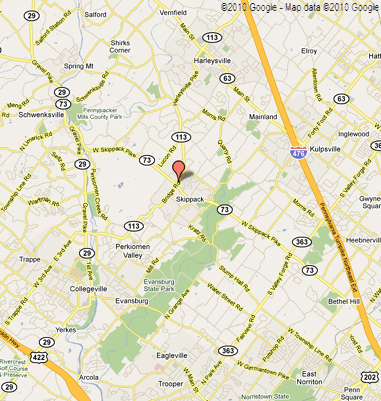 We are at 2011 Bridge Road, next to the TD Bank at the intersection of Routes 73 and 113. *Wednesday evening appointments are available. Please call to schedule.